The history of Kuhlman Corporation – one of the region’s largest and oldest suppliers of construction products – goes right to the foundations of our region’s growth. For over 100 years, Kuhlman has helped build the history of Northern Ohio and Southeastern Michigan. Kuhlman has supplied much of the ready-mixed concrete, brick, sewer/water materials and concrete/masonry specialties used to construct Toledo and surrounding communities since 1901. Throughout the 20th century, Kuhlman building products were used to construct countless municipal structures, stores, schools, homes, businesses and factories, plus highways, bridges and sewer systems. Today, Kuhlman continues to supply concrete and over 5,000 different construction products to 4,000 customers – contractors, architects, engineers, plant and facility managers, and bulk shippers. Historic Toledo-area landmarks built with Kuhlman products include Scott and Waite High Schools, the former Commodore Perry Hotel, Toledo and St. Vincent Hospitals, the Anthony Wayne Bridge, Toledo Zoo and the National City Bank Building. Later came Westgate Shopping Center, the Medical College of Ohio and corporate headquarters for Dana, Libbey-Owens-Ford, Toledo Edison, Monroe Auto Equipment, La-Z-Boy Chair and others. More recent structures include Government Center, SeaGate Centre, the Owens Corning headquarters and Mercy Children’s Hospital. Many buildings at the University of Toledo, Bowling Green State University, Owens Community College and Monroe Community College are constructed with Kuhlman products. Kuhlman concrete and building materials went into the new Mud Hens stadium in downtown Toledo. When growth shifted to the suburbs, Kuhlman was there, too, supplying concrete for the interstate highway system, the Masonic Temple; St. Luke’s, Flower and St. Charles Hospitals; plus Westfield/Franklin Park, Monroe, Frenchtown and Southwyck Malls. Kuhlman was instrumental in the development of Maumee’s Arrowhead Business Park, where its headquarters is now located. Regional industrial facilities featuring Kuhlman products include the Sunoco and BP refineries, the Bayshore Power Plant, the new state-of-the-art Chrysler Jeep plant, Bay Corrugated Container, Lenawee Stamping, the North Star Steel foundry, Campbell Soup, BAX Global, the Oregon Clean Energy Center, and the center pylon of the Maumee River Crossing bridge. In Northeastern Ohio, Kuhlman products have been utilized at many notable sites, including the Cleveland Clinic, Gund Arena, the University of Akron, Cleveland main library and the Cleveland Federal Reserve Bank. 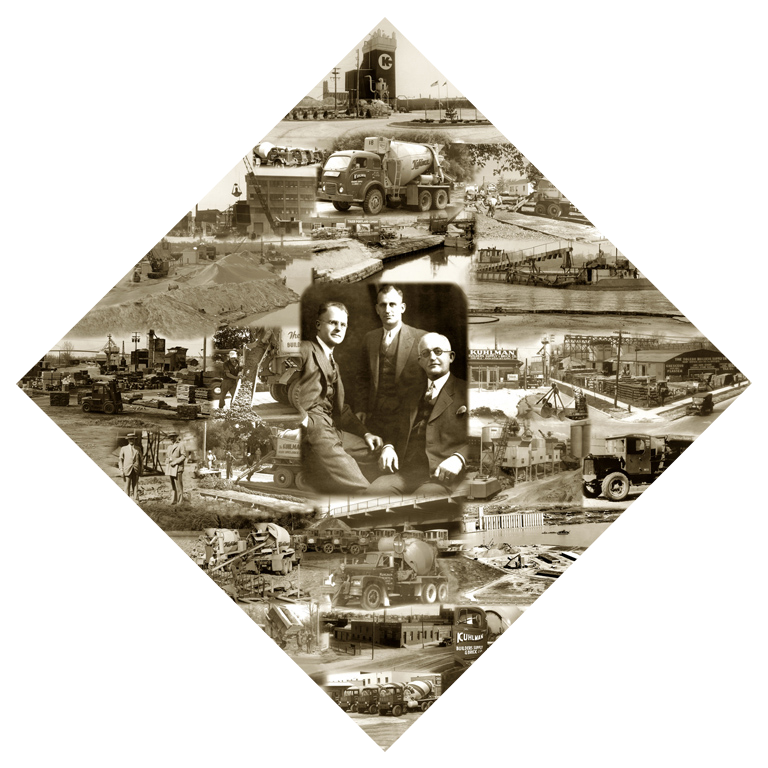 Throughout 100+ years and five generations, Kuhlman has remained a family-owned and -operated business. Today, the Company employs 150 men and women and operates five related businesses at nine facilities. Largest producers of ready-mixed concrete. Most diversified wholesale distributors of quality construction materials for the concrete/masonry and water/sewer trades. Leading suppliers and haulers of quality sand and gravel. 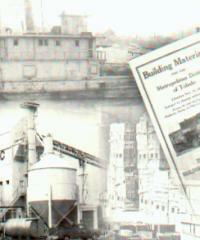 Best known bulk material operators, running one of the largest and most accessible bulk warehouses on the Great Lakes. A century ago, Adam R. Kuhlman, the son of a German immigrant, was a bricklayer and mason contractor. In the late 1890s, he and Richard Kind formed the Kuhlman-Kind Co., which sold building materials. In 1901, the new firm merged with three other companies to become Toledo Builders Supply, predecessor of today’s Kuhlman Corporation. Adam Kuhlman was named vice president of the Toledo Builders Supply and in 1916 became its president. The new firm had two Toledo supply yards, one on Cherry Street and the other on the Maumee River and Main Street in East Toledo. More operations followed at 420 Water Street, 153 South St. Clair Street, Sylvania Avenue near Bennett Road, and Dorr Street near Westwood Avenue. In the mid-1920s, Adam Kuhlman went his own way and formed the Kuhlman Builders Supply and Brick Co., which bought out Toledo Builders Supply in 1928. He became a strong civic presence in Toledo, leading the Toledo Chamber of Commerce, the YMCA and the Lutheran Old Folks Home. Adam Kuhlman invested in an East Toledo brick-making firm, the Ohio Brick Co., on Consaul Street in 1902. Brick-making operations continued until the site ran out of clay in the early 1940s. Today, Kuhlman remains one of the area’s premier brick suppliers, carrying product of numerous sizes and textures from more than 20 manufacturers. In 1928, the Company became the first in Northwest Ohio, and one of the first in Ohio, to enter the ready-mixed concrete business. Its first mixer had a two-cubic yard capacity and cost $3,000. When the Depression hit, a fleet of five concrete mixer trucks helped keep Kuhlman afloat, giving it an edge on the few construction projects then underway. Today, a third of the Company’s business is in ready-mixed concrete and Kuhlman retains its position as Northwest Ohio’s foremost supplier of this enduring natural material. The Company has several strategically located, permanent plants and a portable batching operation for on-site preparation at large or distant sites. Its computer-controlled, permanent plants in Toledo, Ohio; Adrian and Monroe, Michigan; and Fort Myers, Florida supply a modern fleet of rear-discharge and forward-placing mixer trucks that deliver concrete in a timely and responsive manner. The Company can mix hundreds of different concrete formulations to meet exacting project specifications. Kuhlman supplies concrete for projects as diverse as residential driveways to complex industrial facilities requiring tens of thousands of yards of sophisticated mixes. The Depression years were marked by business slowdowns and by the death of Adam Kuhlman in 1933. The Company was passed on to his sons, Charles and Edwin, who together struggled to keep it going in the lean times. Charles was elected president, while Edwin ran the operations end of the business. During World War II, business declined again as equipment and supplies were rationed. The Company then grew during the post-war building boom. Charles Kuhlman died suddenly in 1956 and long-term employee Clyde Stevenson was elected president. The Company made several ready-mix acquisitions, including Koder Concrete and Supply, Inc.; Carl Zenz and Associates Co.; and Knapp Ready Mix, Inc., which extended Kuhlman’s concrete operations into Southeastern Michigan. The purchase of Wood County Transit Mix added Bowling Green to Kuhlman’s territory. Under Stevenson’s reign, the Company built a state-of-the-art headquarters on Collingwood Boulevard, which served as its home for nearly 40 years until 1997. Upon Stevenson’s death in 1967, Marion S. (Bart) Bartholomew, Charles Kuhlman’s son-in-law, took over the firm’s helm. Under Bartholomew’s direction, the Company expanded into new areas. One was land development, beginning with the 100-acre Charles E. Kuhlman Industrial Park along the Maumee River, now the site of the company’s large “Yard One” concrete production and building materials distribution operation. In the 1960s, Kuhlman engineers, along with their counterparts at Detroit Edison, perfected K-Krete®, a new concept and product known as controlled density fill. K-Krete is engineered to produce a flowable fill that does not require compaction, does not shrink or settle and is competitive with compacted granular fill. The product is now used worldwide. Bartholomew also led Kuhlman into supplying concrete for power plant construction, an exacting specialty. In the late 1960s, Kuhlman supplied the concrete for Detroit Edison’s Monroe generating plant — then the world’s largest fossil fuel power plant. Kuhlman supplied the concrete for the Enrico Fermi II Nuclear Power Plant and the Greenwood, MI, Energy Center Unit #1. 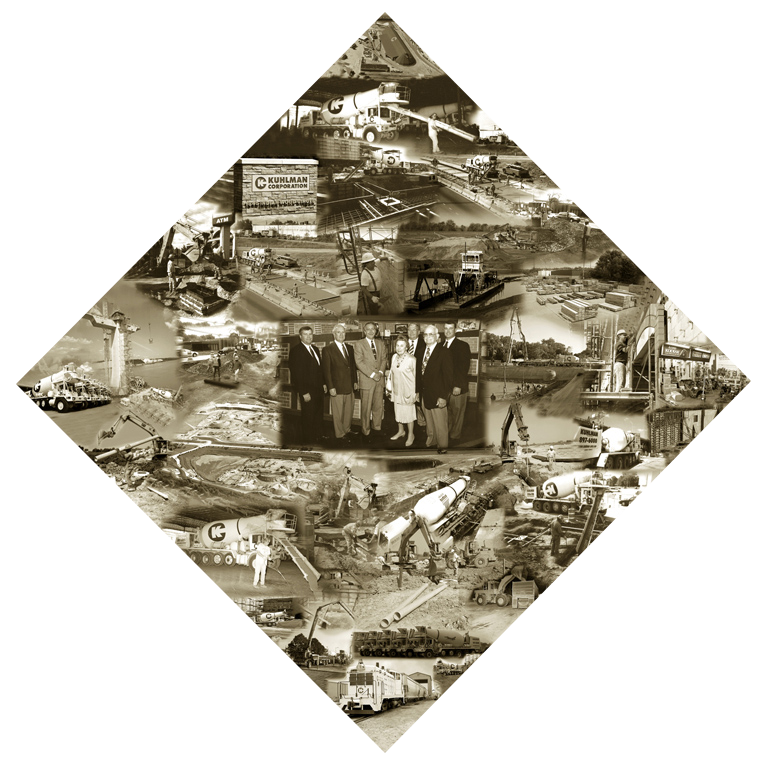 The Company celebrated its 75th Anniversary in 1976. Kuhlman’s officers at the time were Bartholomew, president; Ralph Kuhlman and Carl Kuhlman (both sons of Edwin Kuhlman), vice presidents; Richard Cothern, chief financial officer; and Willis Luthi, secretary. 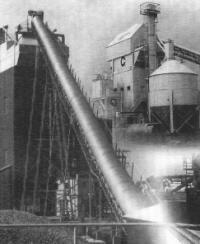 At Yard One in the 1980s, the Company developed the Kuhlman Bulk Materials Facility, one of the Great Lakes’ biggest, most accessible and best organized bulk material warehouses for fertilizers, road salt, aggregates and agricultural products. Kuhlman specializes in bulk materials which come in via rail or self-unloading ships; outbound shipments depart via truck or rail. A huge on-site warehouse is designed to provide complete protection for more than 100,000 tons of material. Segregated storage areas and a sophisticated conveyor system assure secure material storage. Seven acres of hard-surfaced outdoor storage are also available. The facility has direct access to Interstate 75, plus its own rail unloading system and railcar storage yard, with direct connections to several railroad systems. In 1987, Bartholomew’s son-in-law, Tim Goligoski, assumed the presidency of the company. Bartholomew remained active in civic affairs and in the Company’s real estate pursuits until his untimely death in 1991. Other family members active today include Ken Kuhlman, Edwin Kuhlman’s grandson, who heads up the Company’s sales function. Other senior managers at the Company include Terry Schaefer, Kuhlman’s Chief Financial Officer; Stan Radabaugh, Director of Concrete Operations; Steve Smigelski, General Manager of the Kuhlman Bulk Material Facility; Steve Wagener, Director of Facilities; Pat Ferry, General Manager of the company’s concrete operation in Fort Myers, FL; Jeff Johnson, General Manager of the company’s building material operation in Akron; and Steve Grau, Safety Director. Like their predecessors, all are active in industry trade associations and community groups. Developed CTE Sand and Gravel, a 750-acre sand and gravel excavation operation in Tecumseh, MI, featuring state-of-the-art dredging, extraction, processing and high-speed load-out equipment. CTE continued Kuhlman’s role for more than 80 years as a reliable source for sand and gravel to ensure successful area construction projects. The Company has been dredging aggregates from below water since at least the 1920s. This operation was sold in 2007 to allow the Company to concentrate on developing residential and commercial projects abutting the lakes which it created at the Tecumseh site. Acquired the Cleveland branch of Symons Corporation, the nation’s premier supplier of concrete forming systems for building and highway construction, in 1993. Acquired B&G Contractor’s Supply in Akron in 1997. B&G now does business as Kuhlman Construction Products, Inc. Constructed and relocated the Company’s headquarters in 1997 to a 50,000-square-foot office structure in Maumee, OH, on the grounds of Beaver Creek Business Center, which the Company developed. In 2005, moved again to 1845 Indian Wood Circle in Arrowhead Park. The Company’s headquarters building, which has received numerous plaudits for its architecture and design, showcases numerous Kuhlman construction products and is a convenient resource for architects, builders and homeowners. Started Kuhlman Concrete, LLC in Fort Myers, Florida in 2006. This ready-mixed concrete operation represents the Company’s first permanent ready-mix venture outside Ohio or Michigan. In 2008, combined the operation of Toledo’s Home Builders Supply, Inc. and Kuhlman Yard 4 into an expanded operation at 3038 N. Reynolds Road in suburban Toledo. The 5.5-acre facility, with 20,000 square feet under roof, stocks an extensive lineup of products, including Western aluminum forms for residential concrete poured-wall construction, brick, architectural stone, and water and sewer products. The last two decades have witnessed the ongoing development of Kuhlman’s construction products business. Its products range from fire hydrants and sewer and water pipe to the widest variety of brick and architectural stone and concrete forms. Included among the concrete and masonry specialty items stocked are restoration products, curing and sealing compounds, and rebar and wire mesh for concrete reinforcement. Contractors look to Kuhlman for their purchases of mortars, bagged goods, caulks, epoxies, plasters, masonry insulation, concrete block, and dampproofing and waterproofing materials. Bulk materials such as mason sand, concrete sand, and berm stone also are available. Customers turn to Kuhlman and its retail locations in Toledo and Akron, Ohio, and in Adrian and Monroe, Michigan, because they can always depend on its knowledgeable employees, the quality of manufacturers represented, and the wide variety of products offered. Kuhlman Corporation was founded on the principles of quality products, excellent service and unquestioned integrity, and it continues to operate with these values in mind. Most importantly, the Company could not have reached this milestone without the support of its loyal employees, customers and suppliers. For this, we are thankful. First-class quality by selling durable products that perform as expected, with proven technologies and state-of-the art materials. Excellent customer service that is courteous, efficient, accurate and timely. Unmatched expertise which serves as a resource to the industry and includes product knowledge, practical application, Kuhlman University and the Kuhlman website. Forward thinking, which means reinvesting in people and equipment, planning for growth, ensuring long-term product availability and always putting the customer first. Kuhlman is a fifth-generation, family-owned and -operated business. It combines history’s lessons with its philosophy for future growth and service to make its customers successful.